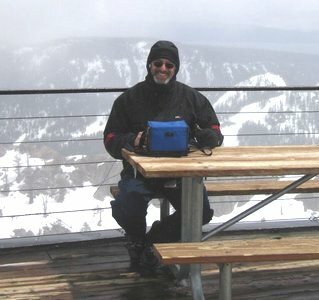 Here's a pic of me operating from 8200" at Squaw Valley ski area, near Lake Tahoe, in CA, on 5-6-05. I was using a KX1 with a 24' wire for an antenna, a 33' counterpoise, and 8 AAs for power. Very, very cold and windy.